I once asked a competitor at a Canadian BBQ Society sanctioned competition how long he's been grilling and smoking meat. He surprised us with his answer. Two years, he said. Truth be told, my question was meant as a joke! We didn't know there was another way to cook meat. We've been doing it for all our lives. BBQ, smoking and grilling meat is a lifestyle for the Two Cowboys. Five out of seven days, at the close of the day, we are outside doing our thing with steak, chicken, pork and whatever we can find to cook on the grill or in the smoker (including vegetables like pumpkin, asparagus, potatoes etc.). We've done it in rain and sunshine, in blazing summer heat and when it is -30 C in Canada. To us, it is a sacred, primal, right of passage as a reward for being at the top of the food chain. We cherish the opportunity. The rite that plays itself out alongside our grill, fire or smoker is as old as humanity itself. It is who we are. We love every moment of it and are always looking forward to it. In the same way, we are always on the scout for fellow comrades with a similar passion and commitment to the lifestyle. We meet many during our travels and we love telling their stories. This is how we've come to know Steve and Debbie West from Trappers Mountain Grill in Waterton, Alberta. 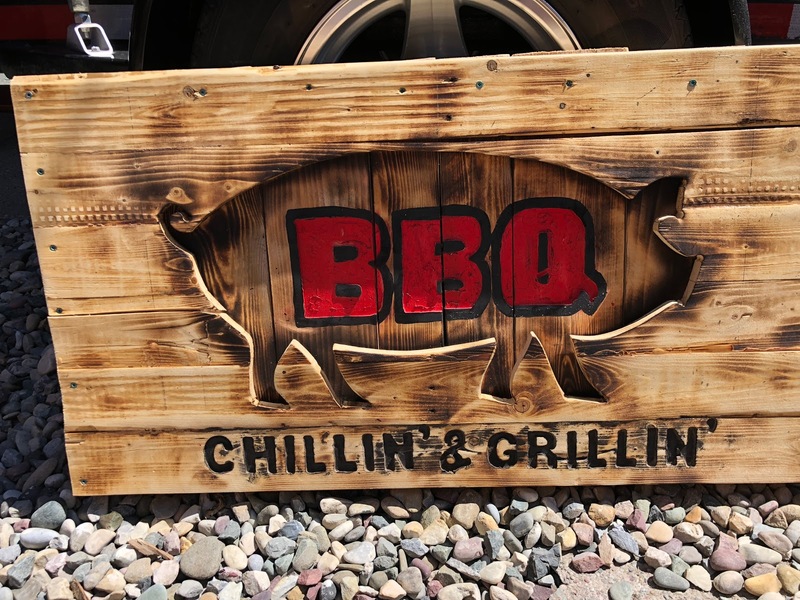 Steve shares our love for BBQ and cold beer. 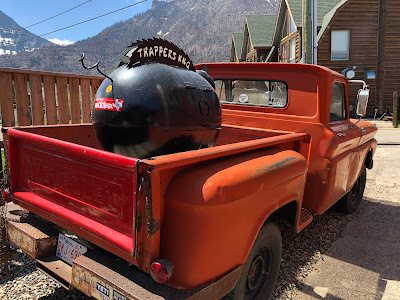 He is also an innovator and a passionate entrepreneur that makes Waterton his home for six months of the year when he is not fishing in Florida. 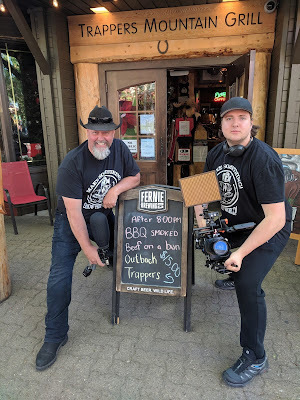 Steve likes to do something unique that allows him to share his passion for good food, BBQ, Gin and Beer. This is how Trappers Mountain Grill is launching something new in Waterton this season. Steve calls it his Backyard BBQ. 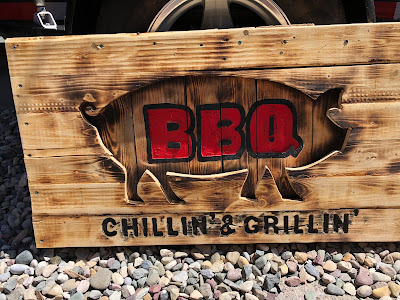 The plan is, once the rush of the summer days subsides and the lines for food and ice cream are over, to do a delicious smoked meat sandwich. 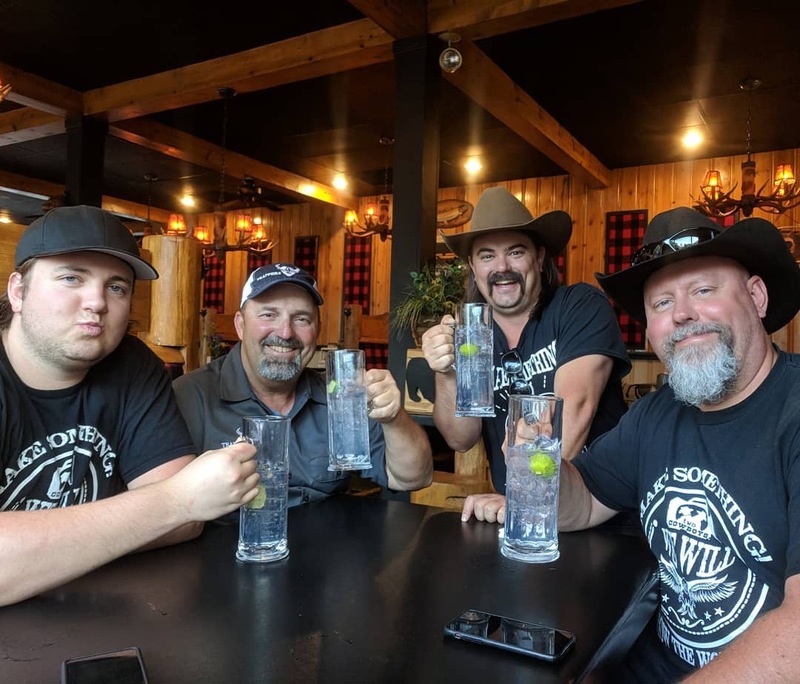 It will be available at the back-door of his restaurant on main street Waterton Avenue. It promises to be an excellent sandwich that will go down well with your own crispy cold beer (sorry folks, you have to bring your own beer). For Steve and his team, it is another way of sharing their passion for cooking meat in one of the worlds most picturesque locales. He is doing it with his new US$35,000 smoker! 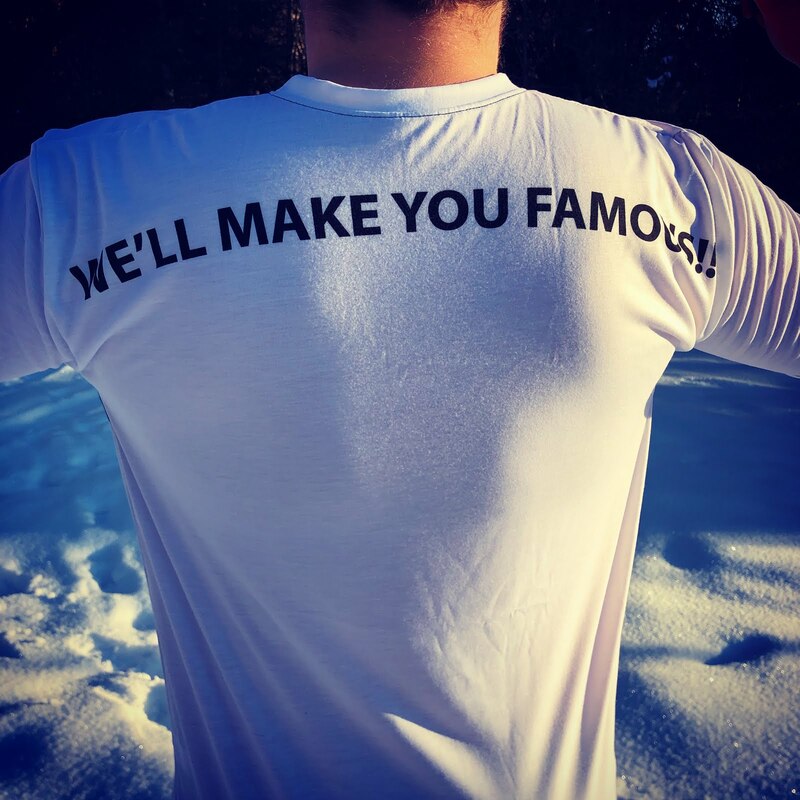 Apparently, he's been practicing all winter to get the recipe locked down, and it is finally ready for the "big time". 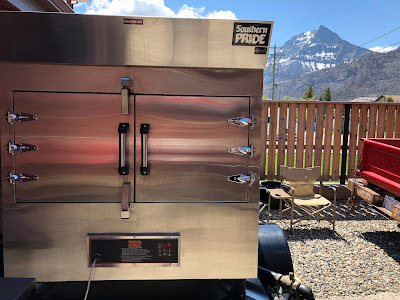 In his own words, "It is a mean piece of equipment with the single purpose of delivering the best-smoked fair available in Waterton town" - authentic Southern-Style BBQ. Steve's venture promises to deliver a hearty meal and great fellowship when most food establishments in the town close down for the evening. It is the way it should be done, simply and deliciously with good friends. The Two Cowboys were there to give it a try. Enjoy our experience with us.